On January 8 at noon, members of the Texas Senate and House of Representatives gathered in their respective chambers at the Capitol to gavel in the 86th legislative session. That began the 140 day countdown to Sine Die (end of regular session) on May 27. The legislature only meets every odd-numbered year beginning on the second Tuesday in January. Members have 140 days to complete the business of the state. That said, the only items that can be voted on within the first 60 days of the session are “emergency items” which are exclusively determined by the governor. Members have been filing bills since November 12 and have until March 8 to file bills without restriction. Between both the House and the Senate, there will be over 6,500 pieces of legislation filed for the 86th legislative session, with nearly 1,500 bills already filed at the time of this printing. While this session is still young and we will not know the extent of the legislation that will be considered until mid-March, there has been quite a bit of activity at the Capitol. On the opening day of the session, members of the Texas House voted unanimously, 147-0 (there are 150 seats in the Texas House, but three are vacant pending the results of special elections), to elect Dennis Bonnen (R-Angleton) as Speaker of the House. With the retirement of former Speaker Joe Straus, this was the first open race for House speaker since 1993. Speaker Bonnen has served in the Texas House of Representatives for over 20 years, representing the 25th House district that encompasses southern Brazoria County and the entirety of Matagorda County. His election is significant as we have not had a Texas House Speaker from our region since Price Daniel from Liberty County in 1973. As with each session, the makeup of each chamber changes following the fall election. This session not only brought in new faces on both sides of the Capitol, but also shrunk the majorities that the Republicans held last session. There are six new members of the Senate, including Sen. Carol Alvarado (D-Houston) who won a special election to replace now Congresswoman Sylvia Garcia. The Texas Senate Republican’s majority has shrunk to 19-12, losing one net seat from last session. The significance of that number is that 19 votes are needed to bring any piece of legislation to the floor. The House welcomed 27 new members and two former members who returned to total 29 members who were not in the House last session. In November, the Democrats were able to pick up 12 seats. While they are still in the minority, the current House makeup is now 83 Republicans and 64 Democrats (see note above regarding vacant seats). What we have heard from the “big three” of Governor Greg Abbott, Lt. Governor Dan Patrick and Speaker Dennis Bonnen is that property tax reform and public school finance reform, along with Harvey relief funding are the major priorities this session. In the past we have seen various wedge issues dominate the policy conversation, but following the November election and Hurricane Harvey, it appears that leadership in the Capitol have coalesced around making these critical issues the priority for the next five months. 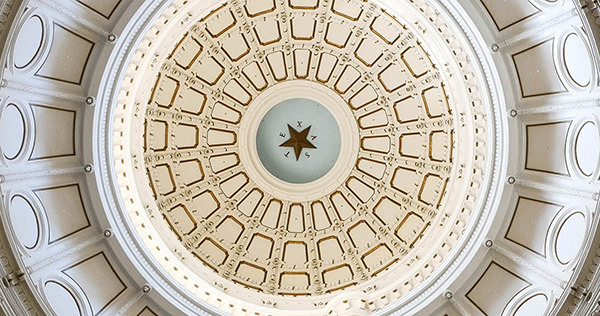 As the session continues to take shape and we have a more comprehensive view of what has been filed and what is being pursued, the GHBA Government Affairs team will be active in working with our delegation in Austin, as well as tracking legislation that could affect homebuilding and development.